The Florida State Boxing Commission has released the official salaries for all of the contestants who competed in Saturday’s “UFC on FOX 11: Browne vs. Werdum” event. 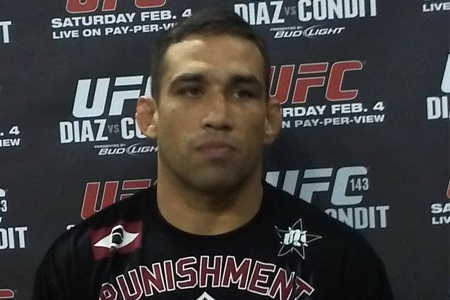 Heavyweight top contender Fabricio Werdum (pictured) was the night’s highest earner in scoring $175,000, with $50K coming via win bonus, for his lopsided unanimous decision victory over Travis Browne in the card’s featured contest. Browne made $50,000 to show. Lightweight Donald Cerrone came in second on the money list, taking home $114,000 for his dramatic comeback submission win over Edson Barboza. UFC on FOX 11 took place inside Orlando’s Amway Center.